Data management activities for the ocean component of the Carbon Dioxide Information Analysis Center (CDIAC-Oceans) at Oak Ridge National Laboratory (ORNL) have recently stopped and this letter provides information on steps being taken to minimize the impact of this stoppage on the oceanographic community. Data, numerical data packages (NDPs), data synthesis product pages, and utilities (such as CO2SYS) at CDIAC-Oceans will continue to be accessible through ORNL until September 30, 2017 when the entire CDIAC will fully cease operations. Effective January 1, 2017, Alex Kozyr will become an Affiliate Staff member for NOAA’s National Centers for Environmental Information (NCEI) to support ocean carbon data management and provide customer support similar to what he has done at CDIAC. He will also assist in the transition of ocean carbon data management to NCEI. NCEI is now archiving CDIAC’s ocean carbon data and will complete the transfer prior to CDIAC’s closure. 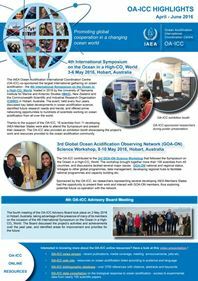 A plan to integrate the content of CDIAC’s ocean carbon web sites and services is being developed, with a target completion date of March 31, 2017. 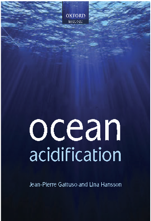 For more details on the transition and how to submit and access ocean carbon data in the future, please check out this page: http://www.nodc.noaa.gov/oceanacidification/ocads/transition.html. NCEI is the designated World Data Service for oceanography www.nodc.noaa.gov/worlddatacenter/ and it will follow the appropriate guidelines in the transfer of data and acquisition of new ocean carbon and ocean biogeochemistry data. Data submission and access may be somewhat different than existing CDIAC processes, but NCEI will make every effort to ensure that it is as easy as possible for researchers to submit, locate and retrieve data. We wish to express our gratitude to the Department of Energy for sponsoring the center for the past 34 years and NOAA and NASA for devoting financial resources and expertise to keep the functions of an ocean carbon depository in place. We look forward to working with the community to make a smooth and transparent transition to the next generation of ocean carbon data management.